Institute of Technology in Architecture, HIB building, ETH Zurich. Lecturer: Romana Rust, Gonzalo Casas. 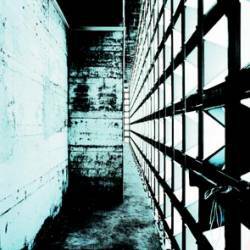 Urban Symposium International - Architecture tomorrow. Palais des Académies, rue Ducale 1 – Brussels. Lecturer: Matthias Kohler. Unbuilt Architecture Today. Berlinische Galerie, Alte Jakobstraße 124–128, 10969 Berlin. Auditorium. Lecturer: Fabio Gramazio. Pratt Institute. The Consortium for Research & Robotics. Lecturer: Andreas Thoma. 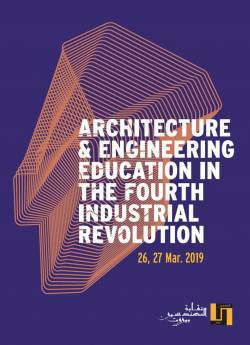 Architecture & Engineering Education in the Fourth Industrial Revolution. OEA Beirut Scientific Committee 2018-2019. OEA, Beirut, Lebanon. Lecturer: Hannes Mayer. 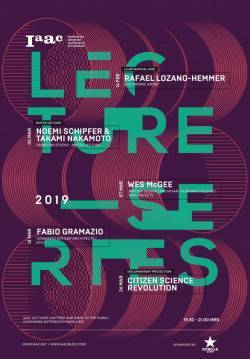 IAAC Lecture Series. Institute for Advanced Architecture of Catalonia. Calle Pujades 102, Barcelona. Lecturer: Fabio Gramazio. SXSW. JW MARRIOTT, SALON 6, Floor: 4, 110 E 2nd St., Austin, TX, USA. Lecturer: Matthias Kohler. 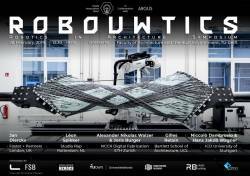 Robouwtics - Robotics in Architecture - Symposium. 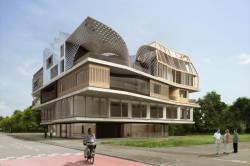 Oostserre (Orange Hall), Faculty of Architecture, TU Delft. Lecturer: Alexander Walzer, Joris Burger. 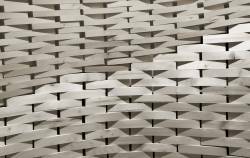 DETAIL auf der BAU 2019, München. Lecturer: Hannes Mayer. Norman Foster Foundation. Madrid. 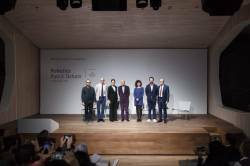 Lecturer: Fabio Gramazio, Anne Faucheret, Iñigo Lazkanotegui, Jonathan Ledgard, Tim Stonor. 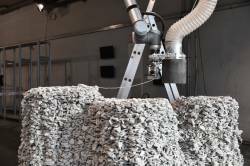 Booosting - 3D Concrete Printing. TU Eindhoven - De Zwarte Doos. Den Dolech 2, Eindhoven, Netherlands. Lecturer: Joris Burger. 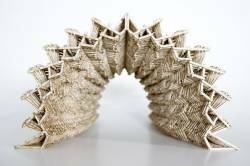 3D Print I BYGGERIET. Teknologisk Institut, Gregersensvej 1, 2630 Taastrup. Lecturer: Ena Lloret Kristensen. The Irwin S. Chanin School of Architecture, The Cooper Union, New York. Lecturer: Fabio Gramazio. DETAIL - . Museum für Kommunikation. Lecturer: Hannes Mayer. Architekturforum Zürich, Brauerstrasse 16, 8004 Zürich. Lecturer: Fabio Gramazio. ACADIA 2018 - Re/calibration: On Imprecision and Infidelity. Hilton Mexico City Reforma, Mexico. Lecturer: Arash Adel. Aula Magna, Piazza Borghese 9, Faculty of Architecture, Sapienza University of Rome. Lecturer: Matthias Kohler. Hello, Robot. Gewerbemuseum Winterthur. Kirchplatz 14, 8400 Winterthur. Lecturer: Fabio Gramazio. Gebäudetechnik Kongress 2018. Digital & Smart. 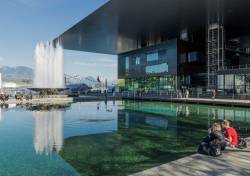 KKL Luzern. Lecturer: Hannes Mayer. Hochschule Bochum Lennershofstr. 140, D-44801 Bochum - at 6pm at Blue Box. Lecturer: Hannes Mayer. 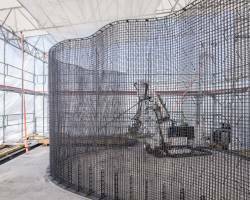 TecToday: Digitale Transformation – Zukunft des Bauens?. SATW. Empa-Akademie, Überlandstrasse 129, 8600 Dübendorf. Lecturer: Fabio Gramazio. MAS DFAB. 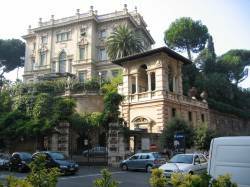 Istituto Svizzero di Roma (ISR). Oskar von Miller Forum, München. Lecturer: Matthias Kohler. Architektur Forum Ostschweiz. Lecturer: Matthias Kohler. 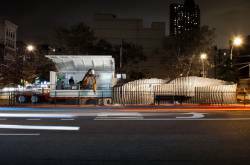 NYIT School of Architecture & Design, New York. Lecturer: Fabio Gramazio. Where does design start and end? 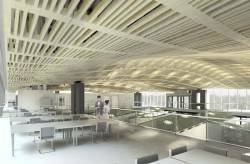 The role of architects in the age of advanced computation and AI. 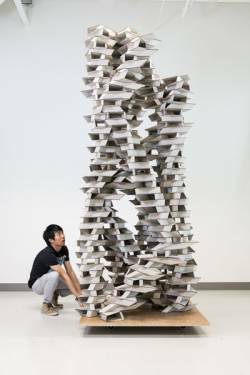 The University of Tokyo Advanced Design Studies (T_ADS) and Digital Fabrication Fab (DFL). Lecture Theater 15, Faculty of Engineering Building 1, The University of Tokyo, Hongo Campus. Lecturer: Hannes Mayer. for interaction by interaction. ZhDK. Zurich. Lecturer: David Jenny. 57°10 Lecture Series. The Scott Sutherland School of Architecture and Built Environment. Lecturer: Matthias Kohler. 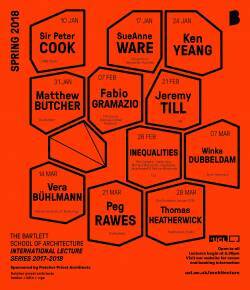 The Bartlett School of Architecture International Lecture Series Spring 2018. London. Lecturer: Fabio Gramazio. From Digital to Physical (Online Lecture). 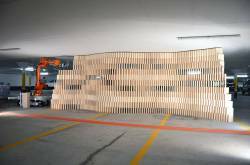 Contemporary Architects’ Association of Iran. Lecturer: Fabio Gramazio. 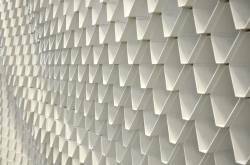 Are we approaching a digital building culture? Royal Academy of Arts. Geological Society, Piccadilly, W1, London. Lecturer: Matthias Kohler. Kolloquium Baurecht heute. Forum St. Peter der Credit Suisse, Zürich. Lecturer: Fabio Gramazio. 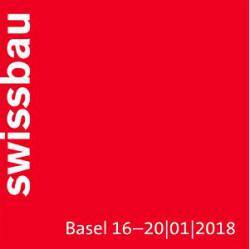 SWISS BAU 16. - 20. Januar 2018 . NETZWERK_DIGITAL – GEMEINSAM IN DIE DIGITALE ZUKUNFT. Halle 1.0 Süd, Arena. Lecturer: Matthias Kohler. 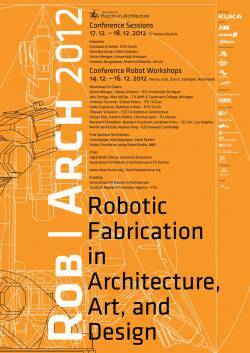 Construction Site Robotics Symposium, Arup, London. Lecturer: Matthias Kohler. Klausurtag 2018 DDK ZHdK, Zürich. Lecturer: Fabio Gramazio. 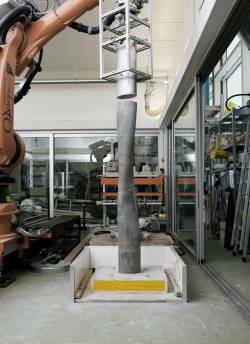 Neue Werkstoffe - Additive Manufacturing. TU München. Vorhoelzer Forum . Lecturer: Fabio Gramazio. 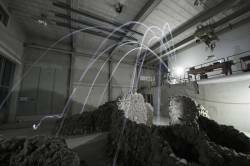 Neue Werkstoffe - Additive Manufacturing. TU München. Vorhoelzer Forum . Lecturer: Ena Lloret-Fritschi. Captain of Industry Luncheon Talk. Gammon. The Excelsior Hong Kong. Lecturer: Fabio Gramazio. Norman Foster Foundation | Public Lectures | Espacio Fundación Telefónica | 28004 Madrid. 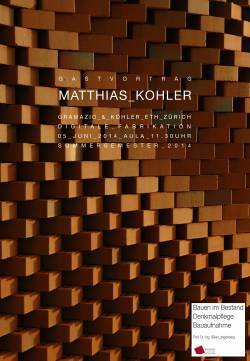 18.00 Lecture by Matthias Kohler. 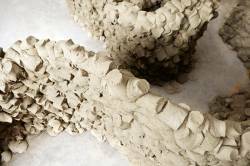 19.00 Matthias Kohler in conversation with Amelie Klein (Curator, Vitra Design Museum). GCD4—Symposium on Geometry and Computational Design. TU Wien - Kuppelsaal. Lecturer: Fabio Gramazio. 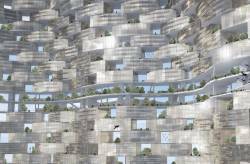 World Architecture Festival 2017. 15 - 17 November 2017, Arena Berlin. Lecturer: Matthias Kohler. 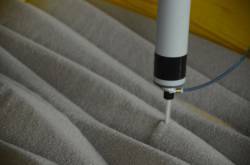 24th International IFF Conference - Science Days - Concrete Performance. Weimar. Lecturer: Alexander Nikolas Walzer. 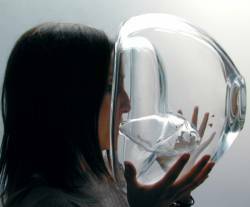 TxA Emerging Design + Technology. Austin Convention Center, Austin, Texas, USA. Lecturer: Arash Adel. Eternit Schweiz AG. Mall of Switzerland in Ebikon-Luzern. Lecturer: Romana Rust, David Jenny. Conferenze di Novembre 2017. Politecnico di Milano, Aula Magna, Piazza Leonardo da Vinci, 32, Milano. Lecturer: Fabio Gramazio. 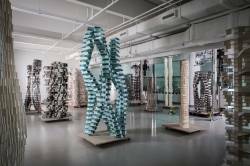 Designing Material Innovation. Exhibition and Symposium at California College of the Arts. San Francisco. Lecturer: Matthias Kohler. Future Cities / Transactions. 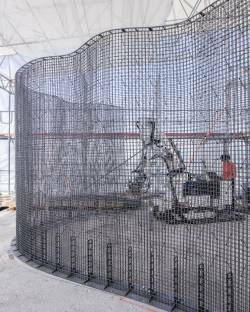 Future Cities Laboratory (FCL). Siemens Auditorium HIT E51, ETH Hönggerberg Campus, Wolfgang-Pauli-Strasse 27, 8093 Zürich. Lecturer: Arash Adel. Gruner AG. Basel. Lecturer: Hannes Mayer. Maker Faire Zürich. Dynamo Zürich . Lecturer: David Jenny, Hakim Hasan . 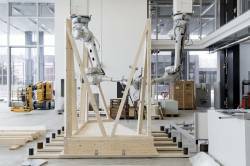 The MAS DFAB features a clay-shooting robot at the Zurich Maker Faire at Dynamo. 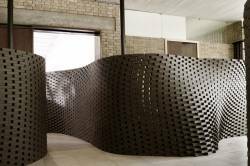 Talk by David Jenny and Hakim Hasan on 09.09., 14h30 entitled: “(Un)Predictable Materials”. Citta della Scienza. Neapel. Lecturer: Fabio Gramazio. Museum of Digital Art. Pfingstweidstrasse 101, 8005 Zürich. Lecturer: Andreas Thoma, Petrus Aejmelaeus-Lindström. 17904 - Architekturgespräche. Haus der Architekten, Danneckerstrasse 54, 70182 Stuttgart . Lecturer: Hannes Mayer. Gramazio Kohler. MuDA. Pfingstweidstrasse 101, 8005 Zürich. Lecturer: Adam Donovan. Symposium on Computational Fabrication. ACM SIGGRAPH. MIT Ray and Maria Stata Center (Building 32), 32 Vassar Street, Room: 32-123 Cambridge, MA 02139. Lecturer: Matthias Kohler. Forum - Future is Now. Norman Foster Foundation. Teatro Real, Madrid. Lecturer: Matthias Kohler. 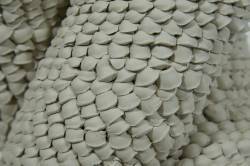 International Symposium: Mass Customization and Design Democratization. Penn State Stuckeman School of Architecture and Landscape Architecture. Philadelphia, USA. Lecturer: Fabio Gramazio. 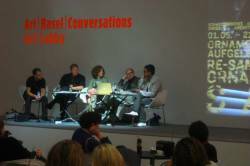 Architektur Dialoge - Plattform für Baukultur. Druckereihalle Ackermannshof, St. Johanns-Vorstadt 19/21, Basel. Lecturer: Fabio Gramazio. NEO Keynote. 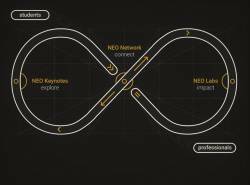 NEO Network. 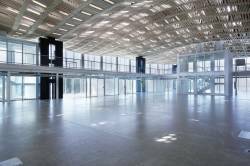 ETH Zentrum, HG D 1.2. Lecturer: Russell Loveridge und Hannes Mayer. 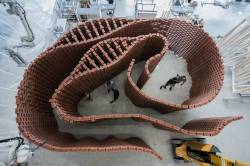 Craftsmanship in the Digital Age - Architecture, Values and Digital Fabrication. ANCB - The Aedes Metropolitan Laboratory. ANCB, Christinenstrasse 18-19, 10119 Berlin. Lecturer: Fabio Gramazio. Speculations, Rules, Experiments. Practices and Concepts in Construction. Transdisciplinary Research Colloquium. 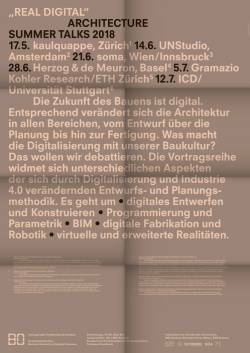 Department of Architecture, ETH Zurich. Werner Oechslin Library Foundation, Luegeten 11, Einsiedeln. Lecturer: Arash Adel. Centre Pompidou, Paris. Lecturer: Fabio Gramazio. Matter Design Computation - The Art of Building from Nano to Macro. University of Cornell. Ithaca, USA. Lecturer: Matthias Kohler. HPC/CIC Tromsø 2017. 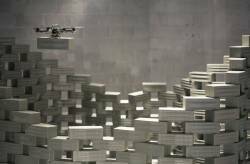 Eleventh High Performance concrete and Second Concrete Innovation Conference. 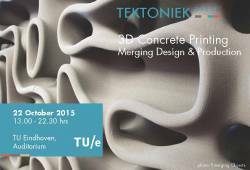 Norwegian Concrete Association and Tekna. Lecturer: Ena Lloret Fritschi. Strategic Partnership Symposium on Science, Design, Manufacturing, and Information. The University of Tokyo. Chemistry Auditorium, Chemistry Main Building, School of Science. Lecturer: Matthias Kohler. Building Construction Lecture Series. University of Applied Arts Vienna. Stubenring 3, 1010 Vienna, Seminarraum 3, Top Floor. Lecturer: Aleksandra Anna Apolinarska. 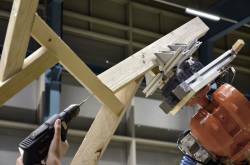 Digitalisierte Bauprozesse und Methoden - Automatisiertes Bauen mit Robotern. 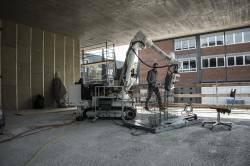 Detail Reserach und Forschungsinitiative Zukunft Bau. Vorhoelzer Forum, Arcisstraße 21, München . Lecturer: Hannes Mayer. Game Set Match Symposium. Hyperbody. TU Delft. Lecturer: Kathrin Dörfler. The University of Hong Kong. Hong Kong. Lecturer: Fabio Gramazio. IEEE/RSJ IROS conference . Daejeon, Korea. Lecturer: Kathrin Dörfler. École supérieure de physique et de chimie industrielles. Paris. Lecturer: Ena Lloret - Fritschi. 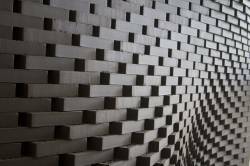 Brick by Brick: Ceramics Applied to Architecture (16.09.16 - 29.01.17) . Museu del Disseny de Barcelona. Barcelona, Spain. Lecturer: Professor Matthias Kohler. 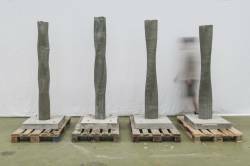 2016 Symposium - Foundations and Futures. Exhibit Columbus. Columbus, Indiana (USA). Lecturer: Fabio Gramazio. Vortragsreihe Sommer 2016. KIT — Fakultät für Architektur. Karlsruhe . Lecturer: Jan Willmann. The Future of Design. 1000Vordenker. Basel. Lecturer: Matthias Kohler. 18.00-20.00 Uhr. Schweizer Baumuster-Centrale. Zürich. Lecturer: Ena Lloret Fritschi, Norman Hack, Dr. Jan Willmann. 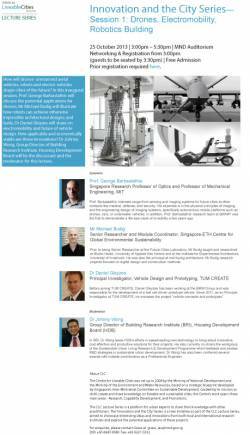 MaP Distinguished Lecture Series on Additive Manufacturing. ETH Zürich, Zentrum, HG E 1.1. Lecturer: Fabio Gramazio. Guest Lecture Serie 2015/2016. University of Belgrade. Lecturer: Professor Fabio Gramazio. Swissbau Focus: Eckwerte zukünftiger Planungs- und Bauprozesse und die rolle von BIM. Swissbau . Basel. Lecturer: Matthias Kohler. 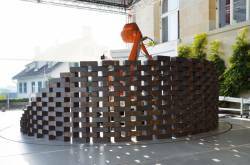 Digital Fabrication Lab Pavilion 2015 - Symposium. University of Tokyo. Tokyo, Japan. Lecturer: Matthias Kohler. SIGraDi 2015. Brasilien. Lecturer: Fabio Gramazio. architektur0.15. Maag Hallen, Zürich. Lecturer: Matthias Kohler. 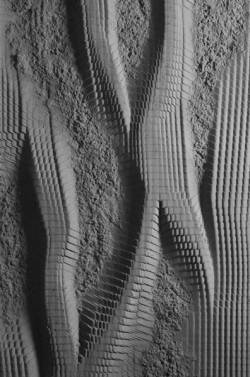 3D Concrete Printing. TU Eindhoven. Eindhoven. Lecturer: Fabio Gramazio. Erne AG Holzbau. Stein. Lecturer: Matthias Kohler. Design Matter Workshop. FOM Institute AMOLF. Amsterdam. Lecturer: Matthias Kohler. 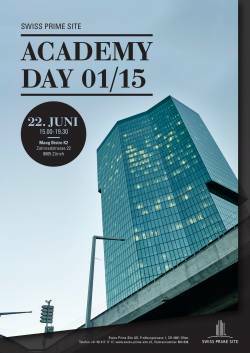 Swiss Prime Site Academy Day 01/15. Maag Bistro K2, Zahnradstrasse 22, 8005 Zürich. Lecturer: Fabio Gramazio. Kunsthochschule für Medien . Köln. Lecturer: Matthias Kohler. 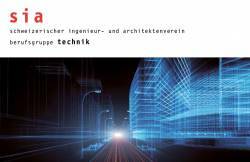 Architektur - Innovation - Technologie. Amt für Wirtschaft und Arbeit in Zusammenarbeit mit der SIA Sektion Zürich. Impact Hub, Viaduktbögen, Zürich. Lecturer: Fabio Gramazio. 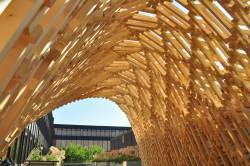 Advancing Wood Architecture - Symposium. Institut für Computerbasiertes Entwerfen. Deutsches Architekturmuseum, Frankfurt am Main. Lecturer: Matthias Kohler, Ania Apolinarska, Volker Helm. 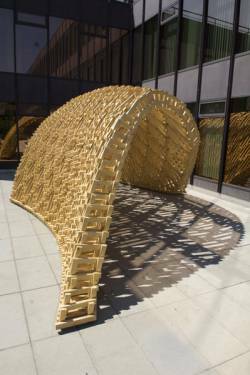 Prof. Matthias Kohler, Volker Helm and Aleksandra Anna Apolinarska will present the research projects NRP-66 and the Arch_Tec_Lab roof at the Symposium "Advancing Wood Architecture". 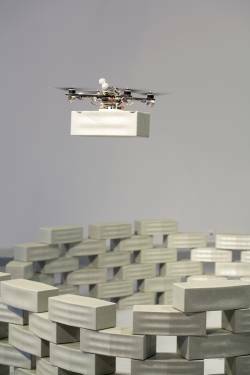 UBS Arts Forum - Räume der Zukunft: Architektur und Innovation. WOLFSBERG - The Platform for Executive & Business Development. Ermatingen. Lecturer: Fabio Gramazio. PropertyCom Management-Kongress. PropertyCom c/o uvision AG. GDI Gottlieb Duttweiler Institute, Rüschlikon. Lecturer: Matthias Kohler. 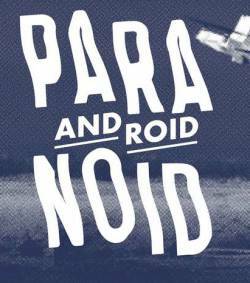 Android Paranoid - Internationales Symposium. Munich Creative Business Week. Alte Kongresshalle, München. Lecturer: Dr. Jan Willmann. 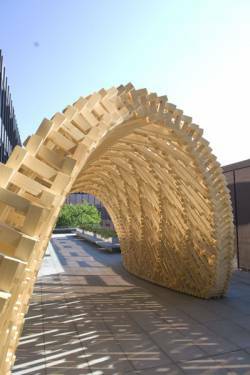 Symposium - 2014 Digital Fabrication Lab Research Pavilion STIK. University of Tokyo. Tokyo. Lecturer: Matthias Kohler. 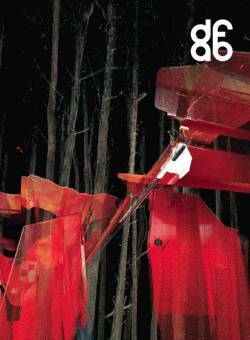 Architectural Association School of Architecture . London. Lecturer: Matthias Kohler. 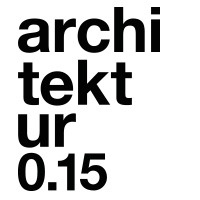 ARCHITEKTURPOSITIONEN. Institute of Media and Design. TU Braunschweig. Lecturer: Fabio Gramazio. Vitra Design Museum. Vitra Haus Weil am Rhein. Lecturer: Matthias Kohler. RIBA Lectures on Design through Production. University of Dundee. Dundee, Scottland. Lecturer: Matthias Kohler. Taubman College of Architecture and Urban Planning. The University of Michigan, USA. Lecturer: Matthias Kohler. Lecture Series. Southern Polytechnic State University (SPSU). Marietta, Atlanta, USA. Lecturer: Matthias Kohler. Siegener Bautag 2014 - Karrieren für die Zukunft. Förderverein-Bauwesen. Siegen. Lecturer: Volker Helm. Seminar Digitale Fabrikation. Akademie der AKH. Architekten- und Stadtplanerkammer Hessen, Wiesbaden. Lecturer: Kathrin Dörfler. 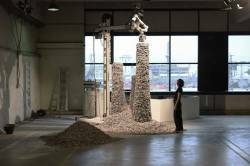 What's The Matter - Materiality and Materialism at the Age of Computation. 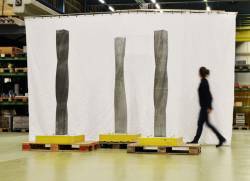 Enhsa / European Association for Architectural Education. Barcelona, Spain. Lecturer: Kathrin Dörfler. University of Applied Sciences Munich. München. Lecturer: Matthias Kohler. RobArch 2014. University of Michigan Taubman College of Architecture and Urban Planning.. Michigan, USA. Lecturer: Matthias Kohler. RobArch 2014. University of Michigan Taubman College of Architecture and Urban Planning. Ann Arbor, USA. Lecturer: Michael Budig. KRUH (Circle). Kino Světozor, Vodičkova 41, Prag. Lecturer: Fabio Gramazio. CAADRIA 2014. Kyoto Institute of Technology. Kyoto, Japan. Lecturer: Norman Hack. CAADRIA 2014. Kyoto Institute of Technology. Kyoto, Japan. Lecturer: Jason Lim. 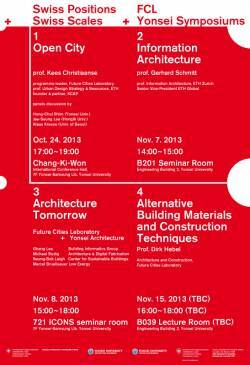 The In-between 2013/2014 AAA International Lecture Series. Aarhus School of Architecture . Aarhus. Lecturer: Dr. Jan Willmann. 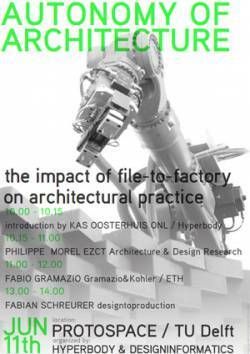 The lecture "Authoring Robotic Processess" introduces a new way of thinking about and materialising architecture. 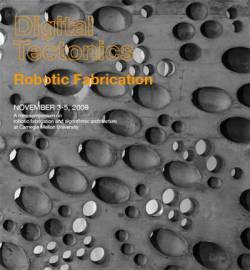 It brings forward the key implications of robotic fabrication in architecture and presents a selection of projects that have originated over almost a decade of research at ETH Zurich, where architecture unfolds its contemporary and most apt constructive expression through the amalgamation of digital logic and novel machinic processes. Digital Post-Modernities: From Calculus to Computation - J. Irwin Miller Symposium. Yale University. New Haven, USA. Lecturer: Matthias Kohler. The Lift Conference. CICG. Genf. Lecturer: Fabio Gramazio. Architektur Forum Ostschweiz. Lecturer: Fabio Gramazio. Lecture Talk. SUTD. Singapore. Lecturer: Fabio Gramazio. SUTD . Singapore. Lecturer: Fabio Gramazio. EmTech Singapore 2014. MIT Technology Review. Sinapur. Lecturer: Fabio Gramazio. Vortragsreihe anlässlich der Neuberufung von Prof. Oliver Fritz. Hochschule Konstanz. Konstanz. Lecturer: Fabio Gramazio. RE.WORK Cities . London. Lecturer: Fabio Gramazio. Ringvorlesung. HafenCity Universität. Hamburg. Lecturer: Matthias Kohler. Arcitectura e industria. Fundacion arquitectura y sociedad. Madrid. Lecturer: Michael Knauss. Swiss-Kyoto Symposium. ETH Zürich und Universität Zürich. Zürich. Lecturer: Volker Helm. 20. 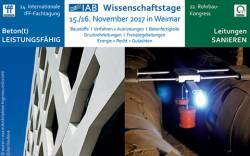 Internationale IFF – Fachtagung . Institut für Angewandte Bauforschung. Weimar. Lecturer: Ena Lloret. Architecture Tomorrow. Yonsei University. Seoul, South Korea. Lecturer: Michael Budig. Innovation and the City Series. Centre for Liveable Cities . MND Auditorium, Singapore. Lecturer: Michael Budig. Lecture Series The Rarefield . School of Architecture . Princeton. Lecturer: Fabio Gramazio. 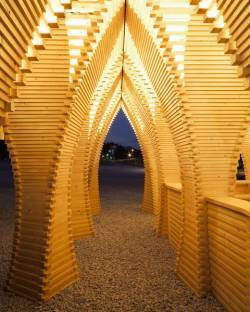 Holz Basel. Basel. Lecturer: Michael Knauss, Stefan Sitzmann, Peter Zock. Jahrestagung Berufsgruppe Technik. SIA. Luzern. Lecturer: Matthias Kohler. International Conference on Sustainable Intelligent Manufacturing (SIM 2013). Lisbon, Portugal. Lecturer: Ammar Mirjan. 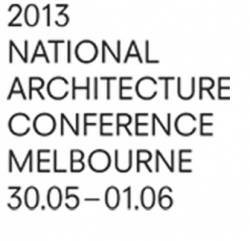 2013 National Architecture Conference. Australian Institute of Architects. Melbourne. Lecturer: Matthias Kohler. ABB Automation & Power World 2013. Umwelt Arena Spreitenbach . Lecturer: Matthias Kohler. The 2013 Goldstein Achitecture, Engineering, and Science Lecture . Massachusetts Institute of Technology, MIT. Boston. Lecturer: Matthias Kohler. Tagung Das Digital-Erhabene. Institute of Architecture (IfA). Technische Universität Berlin. Lecturer: Matthias Kohler. Lehrstuhl für Baugeschichte und Denkmalpflege. Universität Innsbruck. Lecturer: Dr.-Ing. Silke Langenberg. Rob|Arch 2012 . TU Wien. Lecturer: Matthias Kohler und Fabio Gramazio. International FCL Conference - Concrete Sleeping Beauty. 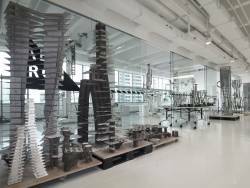 Chair of Architecture and Construction Dirk E. Hebel at ETH Zuerich / FCL Singapore. Create Tower, Singapore. Lecturer: Matthias Kohler. UBS Arts Forum im Seepark. UBS. Thun, Schweiz. Lecturer: Fabio Gramazio. Architekturgespräche . Institut für Geschichte und Theorie der Architektur, ETH Zürich, Prof. Dr. Laurent Stalder. 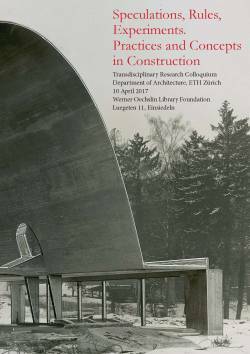 Stiftung Bibliothek Werner Oechslin, Einsiedeln. Lecturer: Matthias Kohler. Fluidity, Rigidity, Adaptability: Frontiers in pure and applied jamming. University of Chicago. Chicago, USA. Lecturer: Matthias Kohler. 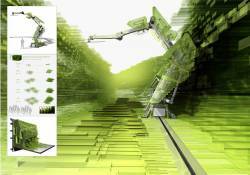 Synthetic Digital Ecologies. ACADIA 2012. UCSF Mission Bay - San Francisco. Lecturer: Volker Helm. Faculty of Architecture, Estonian Academy of Arts. Tallinn. Lecturer: Ena Lloret Kristensen. Aalborg University. Aalborg, Denmark. Lecturer: Matthias Kohler. 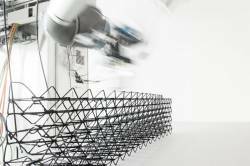 The thrust of digital advancement in design and manufacture has changed architecture. 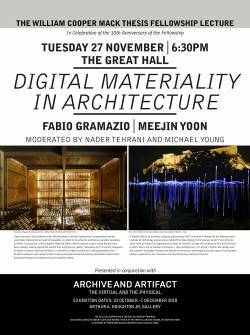 A Digital Materiality is emerging, where the interplay between data and material can be seen as a constructive structuring of architecture. 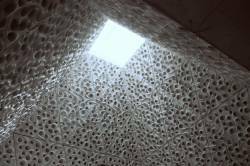 This extensive collaboration can be analytically developed and implemented on an architectural scale, leading to new forms of architectural expression and material sensuality. 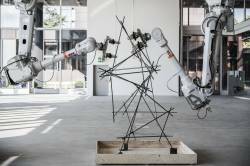 Against this background, the lecture will consider the hegemony of digital fabrication and the avatars of robotic manufacture in architecture. It will address the digital border crossing between the digital and the material and consider various project and contexts. 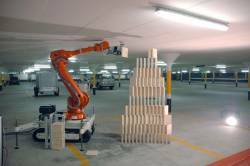 International Conference on Intelligent Robots and Systems. 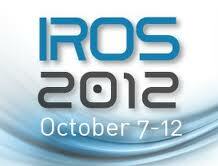 IROS 2012. Vilamoura, Portugal. Lecturer: Volker Helm. 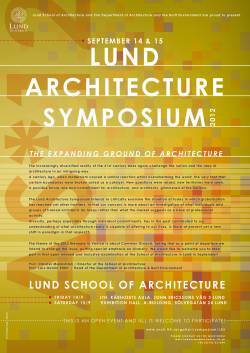 Lund Architecture Symposium 2012. Lund School of Architecture, Lund University. Lund, Sweden. Lecturer: Ena Lloret Kristensen. 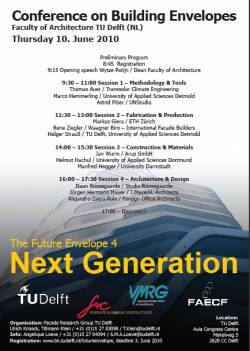 Future Cities Conference. ETH Zürich. Lecturer: Matthias Kohler. Malaysia Green Building Confederation / THE 3RD ANNUAL TROPICAL SUBTROPICAL GREEN BUILDING ALLIANCE CONFERENCE. GBF 2012 The Green Building Forum 2012. Kuala Lumpur, Malaysia; KLCC Convention Centre. Lecturer: Michael Budig. Università Iuav di Venezia. Venedig. Lecturer: Fabio Gramazio. ICRA 2012 - Workshop. River Centre, St. Paul - Minnesota. Lecturer: Volker Helm. FCL Module II. CREATE Tower '07-04, 1 Create Way, Singapore. Lecturer: Francois Roche. TU Berlin. Berlin. Lecturer: Fabio Gramazio. Estonian Academy of Arts EAA . Tallinn. Lecturer: Fabio Gramazio. Joint Review. 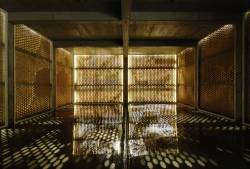 Kengo Kuma, Yusuke Obuchi, Matthias Kohler. 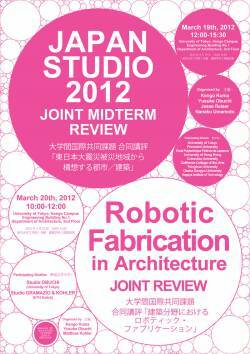 University of Tokyo, Department of Architecture. Lecturer: Michael Budig, Jason Lim, ETH Students. Dr. Lüchinger + Meyer Bauingenieure AG. Zürich. Lecturer: Fabio Gramazio. FCL Module II. CREATE Tower #07-04, 1 Create Way, Singapore. Lecturer: Thomas Bock. Interim Review. FCL Module II. CREATE Tower #07-04, 1 Create Way, Singapore. Lecturer: Erik L'Heureux, Florian Schätz. Robert B Church III Lectures and Exhibitions Series 2012. University of Tennessee. Knoxville. Lecturer: Fabio Gramazio. University of Wisconsin-Milwaukee. Milwaukee, USA. Lecturer: Fabio Gramazio. Centre Pompidou. Paris. Lecturer: Matthias Kohler, Fabio Gramazio. Lab 3 – Laboratory for Experimental Computer Science. Academy of Media Arts Cologne . Lecturer: Volker Helm. Symposium Computational Politics and Architecture: From the Digital Philosophy to the End of Work. Ecole nationale supérieure d'architecture. Paris-Malaquais. Lecturer: Jan Willmann. 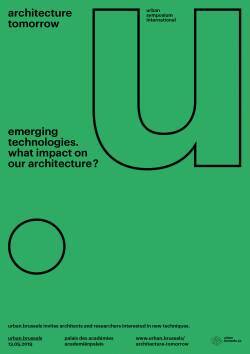 Since the 1990s we are witnessing an unprecedented rise of digital technologies in architecture. Yet, it is still not clear what impact this has on a discipline that stands for the idea of construction and presence, a discipline that stands for the real and material world. 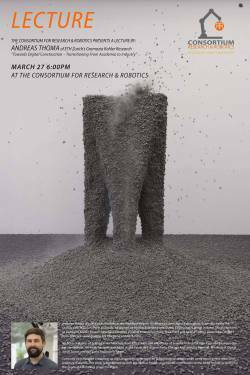 This lecture will consider the digital border crossing between the virtual and the material and discuss the hegemony of algorithmic calculus as well as the avatars of digital fabrication in architecture. Further, it will address seminal sources and contexts, influences and legacies. Digital Crafting Symposium. Royal Academy of Fine Arts. Kopenhagen, Dänemark. Lecturer: Fabio Gramazio. Brick Day. Material Inspiration Centre. Amsterdam. Lecturer: Fabio Gramazio. Institute for Advanced Architecture of Catalonia. Barcelona. Lecturer: Michael Knauss. 150-Jahr-Feier. 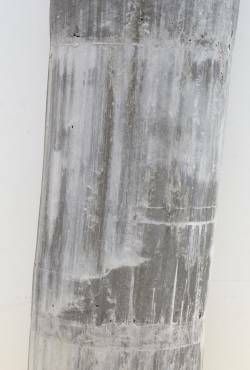 Schilliger Holz AG. Küssnacht am Rigi. Lecturer: Fabio Gramazio. 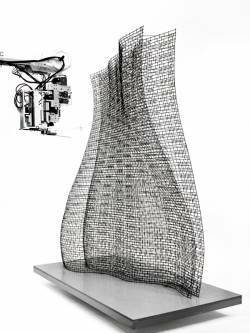 “Digital Fabrication – a State of Art” Symposium. ISCTE – University Institute of Lisbon. Lissabon. Lecturer: Tobias Bonwetsch. Mass Re-Clad Workshop. Politecnico di Milano. Milano. Lecturer: Michael Knauss. 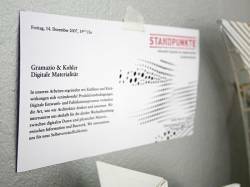 Vortragsreihe Baukunst - 'digital und analog – 2 x 2 werkberichte'. Hochschule für Bildende Künste. Dresden. Lecturer: Jan Willmann. Symposium on High Performance Craft. The University of Washington, Department of Architecture . University of Washington’s Architecture Hall, Seattle. Lecturer: Matthias Kohler. Digital Transformations Seminar. Welsh School of Architecture (Cardiff University). Cardiff. Lecturer: Michael Knauss. Departementsvortrag in der Reihe Bauten/bauen. ETH Zürich, Departement Architektur. ETH Hönggerberg, HIL, Auditorium E4. Lecturer: Matthias Kohler, Fabio Gramazio. Studio Zaha Hadid. Die Angewandte. Wien. Lecturer: Jan Willmann. Vortragsreihe Studenteninitiative Horizonte. Bauhaus Universität Weimar. Lecturer: Fabio Gramazio. Fabricate 2011. Bartlett School of Architecture Gallery. Wates House, 22 Gordon Street, London WC1H 0QB. Lecturer: Matthias Kohler. 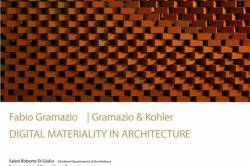 The Professorship Gramazio & Kohler takes part in this year’s Fabricate2011. 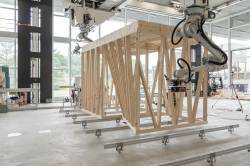 A new mobile robot unit addresses adaptive building methods and cognitive fabrication skills and will be exhibited for the first time. 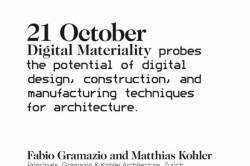 This is framed by a keynote of Prof. Matthias Kohler in the scope of the panel „Machines and The Bespoke”. PropertyCom Congress. Uvision GmbH. GDI - Gottlieb Duttweiler Institut, Rüschlikon, Zürich. Lecturer: Fabio Gramazio. Bironz. 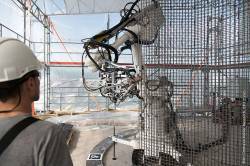 ETH Zürich, Bio-Inspired Robotics Laboratory. ETH Zürich, Hauptgebäude HG D 7.2, Rämistrasse 101, 8092 Zürich. Lecturer: Volker Helm. 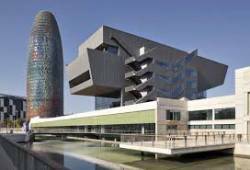 Disseny Hub Barcelona. Barcelona. Lecturer: Andrea Kondziela. Lecture and Guest Expert. The Kyoto Institute of Technology. Miyako Messe, Japan. Lecturer: Matthias Kohler. Bau 2011 München. Detail Research. München. Lecturer: Fabio Gramazio. Design Computation Symposium. Autodesk University. Las Vegas. Lecturer: Matthias Kohler. Fachhochschule Münster. Lecturer: Volker Helm. Vortragsreihe Bausch + Bogen. Universität Siegen. Lecturer: Volker Helm. Vortragsreihe . Universität Kassel. Lecturer: Volker Helm. Stad&Architectuur vzw. Art Centre STUK, Leuven, Belgien. Lecturer: Matthias Kohler. Zwischen den Disziplinen. SIA Sektion Zürich. EWZ-Unterwerk Selnau, Selnaustrasse, Zürich. Lecturer: Matthias Kohler. 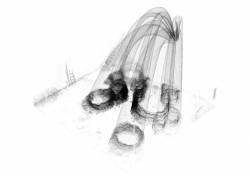 CAD/CAM: Introduction to applications in Architecture. Harvard GSD. Boston, MA, USA. Lecturer: Michael Knauss. Seminar Digitale Applikationen. Hochschule Luzern. 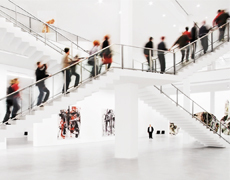 Kunsthalle St.Gallen . Lecturer: Tobias Bonwetsch. Advances in Architectural Geometry 10. TU Wien. TU Wien. Lecturer: Bärtschi Ralph. FAB6 The Sixth International Fab Lab Forum: Symposium on Digital Fabrication. Royal Netherlands Academy of Arts and Sciences. Amsterdam. Lecturer: Matthias Kohler. Tel Aviv University . Tel Aviv. Lecturer: Fabio Gramazio. Autonomy of Architecture. HYPERBODY. 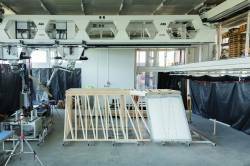 PROTOSPACE / TU Delft. Lecturer: Fabio Gramazio. 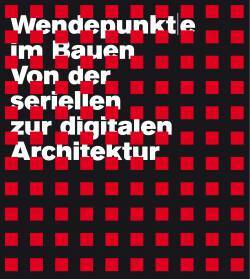 Wendepunkt(e) im Bauen - Von der seriellen zur digitalen Architektur . Architekturmuseum der Technischen Universität München . Ernst-von-Siemens-Auditorium,Pinakothek der Moderne, München. Lecturer: Matthias Kohler. Conference on Building Envelopes. Facade Research Group TU Delft (NL). TU Delft (NL). Lecturer: Markus Giera. 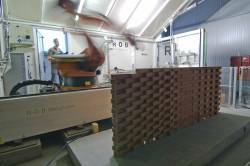 Within the context of research of the TU Delft(NL), the institute of Gramazio&Kohler is presenting the current results in robot-based fabriation of brickwalls. 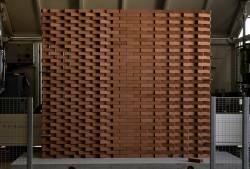 Main focus is a new, structurally and energetically efficent masonry facade system developed by the chair. Facoltà di Architettura di Ferrara. Ferrara. Lecturer: Fabio Gramazio. Aristotle University of Thessaloniki, School of Architecture. Auditorium of the Macedonian Museum of Modern Art Thessaloniki, Greece. Lecturer: Matthias Kohler. Ausstellungseröffnung Brick Award 2010. GTA. Auditorium E3, HIL, Hönggerberg, ETH Zürich. Lecturer: Fabio Gramazio und Matthias Kohler. Workshop *Light ON!*. Dupont. Wien. Lecturer: Fabio Gramazio. Digital Crafting Network, Workshop 2. 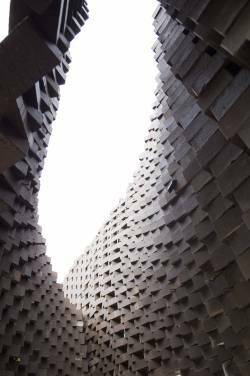 CITA, Royal Danish Academy of Fine Arts, School of Architecture. Kopenhagen. Lecturer: Silvan Oesterle. 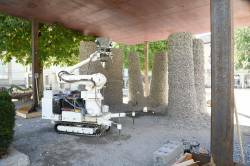 Architekturforum Hightech Holz. BauNetz. Köln. Lecturer: Fabio Gramazio. Technical Studies AA. 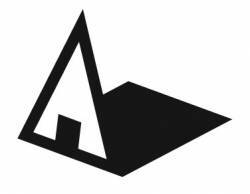 Architectural Association. London. Lecturer: Silvan Oesterle. International Lecture Series. The Bartlett School of Architecture. London. Lecturer: Matthias Kohler. International Lectures. Arkitekskolen Aaarhus. Aarhus. Lecturer: Fabio Gramazio. Universität für angewandte Kunst Wien. Wien. Lecturer: Tobias Bonwetsch. 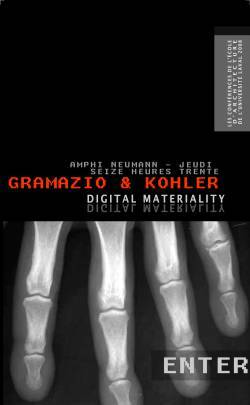 Lecture is held as part of the workshop 'digital representation of physical structures'. Novemberreihe 2009, Positionen zur zeitgenössischen Architektur. Universität Stuttgart. Stuttgart. Lecturer: Fabio Gramazio. 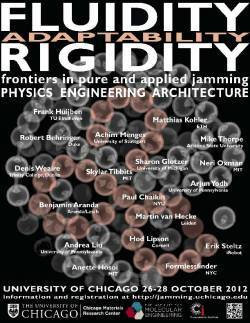 Digital Tectonics Symposium. Carnegie Mellon University. Pittsburgh. Lecturer: Fabio Gramazio. aut. architektur und tirol. Im Adambräu, Innsbruck. Lecturer: Matthias Kohler. 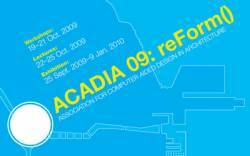 ACADIA, reForm:09. ACADIA, SAIC. Chicago, USA. Lecturer: Silvan Oesterle. 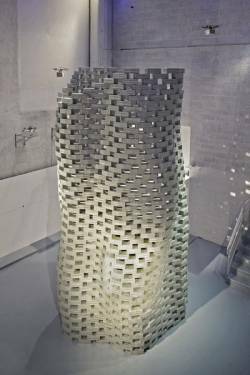 Parametric Protorypes - New Computational Paradigms in Architecture. Xian School of Architecture. Xian, China. Lecturer: Silvan Oesterle. CIP Talks. ZKM Theater. Zagreb. Lecturer: Fabio Gramazio. AIA New York Chapter and Consulate General of Switzerland. Tafel Hall, Center for Architecture, 536 LaGuardia Place, NYC. Lecturer: Matthias Kohler. 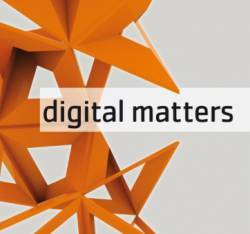 Digital Matters. INTERMEDIALE 09. FH Trier. Lecturer: Tobias Bonwetsch. Mittwochabend-Vorträge. Fachbereich Architektur. TU Darmstadt. Lecturer: Fabio Gramazio, Matthias Kohler. 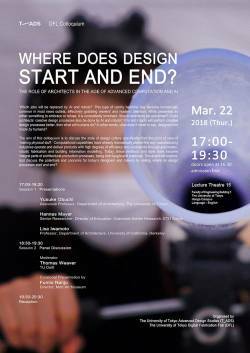 IaaC Lecture Series. IaaC Institut d'arquitectura avançada de catalunya. Barcelona. Lecturer: Matthias Kohler. 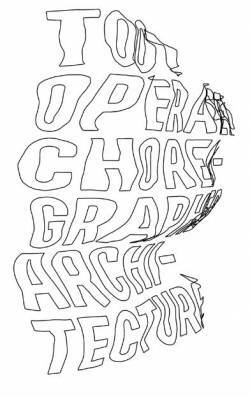 New Craft of Architecture, MIT Architecture Lectures Spring 2009. MIT Department of Architecture. Boston. Lecturer: Fabio Gramazio, Matthias Kohler. Berkley University of California, Department of Architecture. San Francisco. Lecturer: Fabio Gramazio, Matthias Kohler. 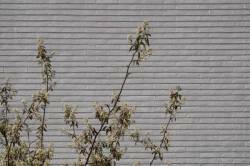 Spring 2009 Architecture Lecture Series. CCA California College of the Arts. San Francisco. Lecturer: Fabio Gramazio, Matthias Kohler. 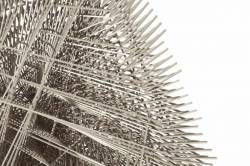 Frank Barkow, Chris Bangle, Fabio Gramazio, Michael Meredith and Brett Steele discuss on architectural experimentation and material fabrication. Die Rückkehr des Dekorativen in der Architektur. Deutsches Architekturmuseum (DAM). Frankfurt . Lecturer: Fabio Gramazio, Matthias Kohler. 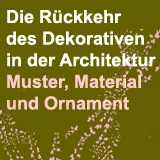 Das digitale Bild der Architektur Entwurf–Ornament–Bau. Eikones . Rheinspung 11, CH-4051 Basel. Lecturer: Fabio Gramazio, Matthias Kohler. GSAPP – Graduate of Architecture, Planning, and Preservation at Columbia University. Room 114, Avery Hall, Columbia University. Lecturer: Fabio Gramazio und Matthias Kohler. Vorlesungsreihe Emerging Construction Technologies. Bauhaus Universität Weimar / Lehrstuhl Entwerfen und Baukonstruktion . Weimar. Lecturer: Michael Knauß. Berlage Institute. Rotterdam. Lecturer: Fabio Gramazio, Matthias Kohler. ACADIA 2008. ACADIA. Minneapolis. Lecturer: Tobias Bonwetsch. Symposium Explorations. Reto Geiser, Archizoom. Ecole Polytechnique Fédérale de Lausanne. Lecturer: Fabio Gramazio, Matthias Kohler. Symposium Explorations . 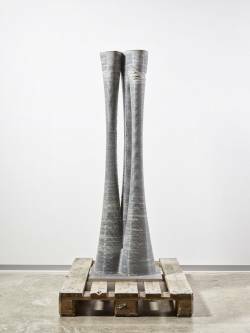 Reto Geiser, Angelus Eisinger. 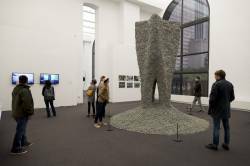 11th Venice Architecture Biennale . Lecturer: Fabio Gramazio, Matthias Kohler . 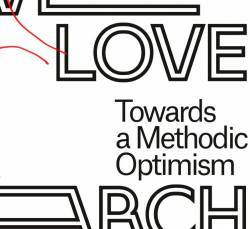 Eleventh Meeting of Heads of European Schools of Architecture. ENHSA. Chania, Greece. Lecturer: Fabio Gramazio, Matthias Kohler. Büron 2020. Büron. Lecturer: Tobias Bonwetsch. Conversation, Art Lobby. Art Basel. Basel. Lecturer: Fabio Gramazio, Matthias Kohler. rational - sensual - virtual. ZHdK - Cumulus Conference Zurich. ETH Zürich. 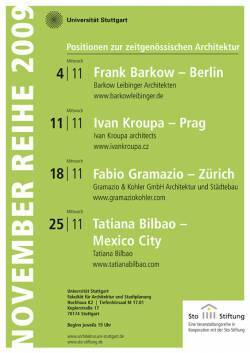 Lecturer: Fabio Gramazio, Tobias Bonwetsch. The Royal Academy of Fine Arts School of Architecture. Copenhagen, Denmark. Lecturer: Fabio Gramazio, Matthias Kohler. SIMAE. 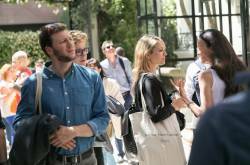 EsArq - Universitat Internacional de Catalunya. Barcelona. Lecturer: Silvan Oesterle. 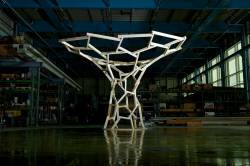 Architecture virtuelle et numérique: entre conception et fabrication. 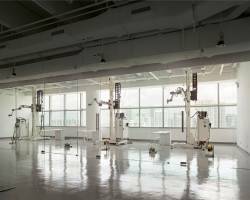 Université Laval, École d’Architecture; Prof. Georges Teyssot, Prof. Pierre Côté. Laval. Université McGill, Prof. Martin Bressani. Montréal. Lecturer: Fabio Gramazio, Matthias Kohler. Smart Geometry Conference. Bentley. München. Lecturer: Silvan Oesterle. Architectural Association. London. Lecturer: Fabio Gramazio, Matthias Kohler. 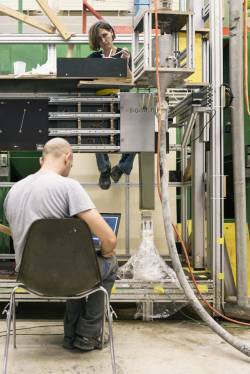 Holcim Foundation Research Grants. Holcim Foundation. ETH Hönngerberg. Lecturer: Fabio Gramazio, Matthias Kohler. Vorlesung 1. Jahreskurs. TU Wien, Prof. András Pálffy. Wien. Lecturer: Fabio Gramazio, Matthias Kohler. Workshop on milling technology. TU Wien. Wien. Lecturer: Ralph Bärtschi. Standpunkte, Informelle Gespräche zur zeitgenössischen ArchitekturKultur. Reto Geiser. Atelier Kraut & Zucker, Hammerstrasse 90, 4057 Basel. Lecturer: Fabio Gramazio, Matthias Kohler. Städelschule. Frankfurt. Lecturer: Fabio Gramazio, Matthias Kohler. Treffpunkt Science City - Wissenschaft erleben. ETH Zürich. ETH Zürich, Hönggerberg. Lecturer: Fabio Gramazio, Matthias Kohler. Treffpunkt Science City – Wissenschaft erleben. ETH Zürich. ETH Zürich, Hönggerberg. 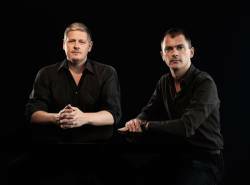 Lecturer: Ralph Bärtschi, Tobias Bonwetsch, Silvan Oesterle. Engineering Schools of Excellence Meet in Bari. Embassy of Switzerland in Italy - Province of Bari, Apulia, Italy. Politecnico di Bari. Lecturer: Tobias Bonwetsch. ARUP AGU. Lecturer: Tobias Bonwetsch. 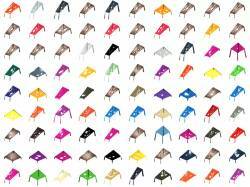 Foster and Partners. Lecturer: Tobias Bonwetsch. Oslo architects association OAF. Lecturer: Fabio Gramazio, Matthias Kohler. ECAADE Frankfurt. Frankfurt. Lecturer: Ralph Bärtschi. eCAADe Conference 2007. eCAADe. Frankfurt. Lecturer: Tobias Bonwetsch. Prof. András Pálffy, Österreichische Gesellschaft für Architektur. TU Wien. Lecturer: Fabio Gramazio, Matthias Kohler. Professoren Tagung 2007, Fachbereich Architektur. Ziegel Zentrum Süd. Universität Kassel. Lecturer: Fabio Gramazio, Matthias Kohler. Théorie et critique du projet VI. Prof. Philippe Rahm. EPFL Lausanne, Salle SG0211. Lecturer: Fabio Gramazio, Matthias Kohler. HTA Luzern, Abteilung für Architektur. Horw. Lecturer: Fabio Gramazio, Matthias Kohler. Junge Schweizer Architektinnen und Architekten 2007. Architekturforum Zürich. Zürich. Lecturer: Fabio Gramazio, Matthias Kohler. 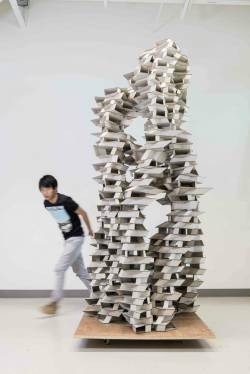 Teaching and Experimenting with Architectural Design - Advances in Technologoy and Changes in Pedagogy. ENHSA-EAAE Architectural Design Teachers' Network. Lisbon. Lecturer: Fabio Gramazio, Matthias Kohler. Ordentliche Generalversammlung der Plattform Zukunft Bau. Plattform Zukunft Bau. ETH Zürich, Zürich-Hönggerberg. Lecturer: Fabio Gramazio, Matthias Kohler. ManuBuild 1st International Conference. Rotterdam, Netherlands. Lecturer: Tobias Bonwetsch. 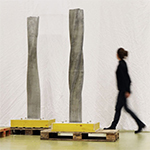 Manufacturing Material Effects International Symposium. 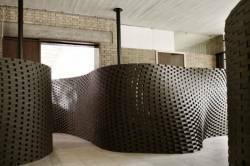 Institute for Digital Fabrication, Ball State University. Muncie, IN, USA. Lecturer: Fabio Gramazio, Matthias Kohler. 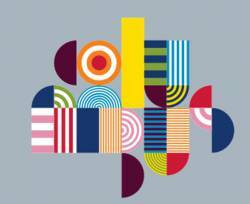 DDM Colloquium „Design in Practice”. DDM. ETH Zürich, HIL E6, Zürich-Hönggerberg. Lecturer: Fabio Gramazio, Matthias Kohler. Mauerwerkstag. Ziegelzentrum Süd. FH Regensburg. Lecturer: Tobias Bonwetsch. 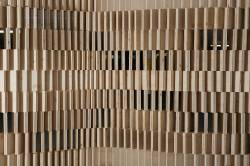 DARCH. ETH Zürich. Lecturer: Tobias Bonwetsch. ETH Zürich. 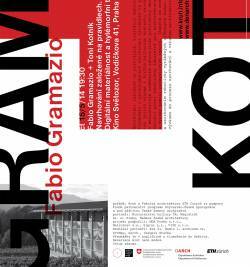 Lecturer: Fabio Gramazio. ACADIA Conference 2006. ACADIA. Louisville, Kentucky. Lecturer: Tobias Bonwetsch. Akustik Symposium in Zürich. Hochschule für Musik und Theater Zürich (hmtz). Zürich. Lecturer: Fabio Gramazio, Matthias Kohler. Neue Design Axioms, Workshop. DDM. Eindhoven, Holland. Lecturer: Fabio Gramazio, Matthias Kohler. 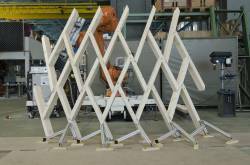 Automenschion: Motion, Robotic & Handling. Focus Technology Forum / Technologieforum der Schweiz. Messezentrum Halle 5/6, Zürich . Lecturer: Fabio Gramazio, Matthias Kohler. 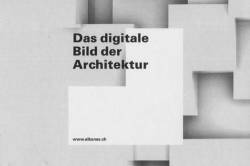 Architektur verkaufen - Marketingstrategien für Architektinnen und Architekten. Eternit (Schweiz) AG. Dada-Haus / Cabaret Voltaire, Zürich. Lecturer: Fabio Gramazio, Matthias Kohler. Antrittsvorlesung Gramazio & Kohler. ETH Zürich. Auditorium Maximum, ETH Zentrum, Zürich. Lecturer: Fabio Gramazio, Matthias Kohler. Generalversammlung. SIA, Sektion Zürich. Zürich. Lecturer: Fabio Gramazio, Matthias Kohler. 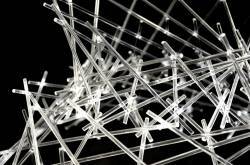 AMM – Advanced Materials and Manufacturing. Frankfurt.